Whether you’re mixing a drink a week, or five drinks an hour, a bartender kit can make life a lot easier. Mixing cocktails ranges from simple to downright ridiculous depending on the complexity of the recipe. 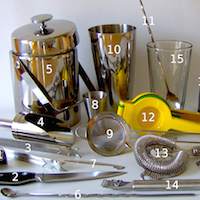 There are various bartender kits available for various levels of skill. 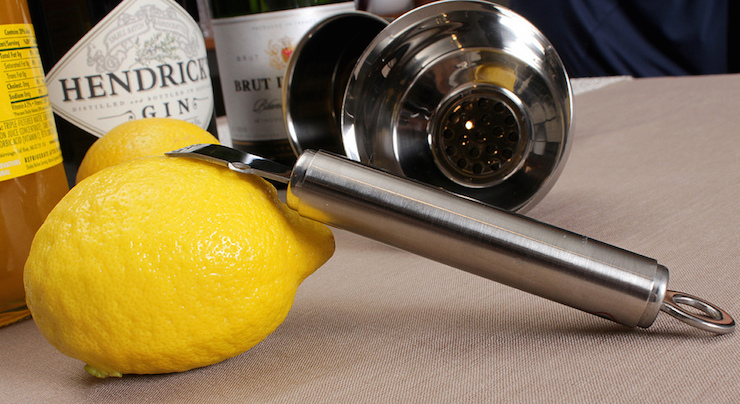 Check out the following options to see which product matches your needs, and you’ll be mixing delicious cocktails with precision and ease before you know it. If you’re just starting out, or just prefer sticking to the simple recipes, a basic kit will do just fine. Many mixed drinks simply call to stir, strain, and serve, with very little accessories needed. A great starter set is the Libbey 9-piece Mixology Set, available in the $25-35 range. It comes with the basic shaker and strainer, but a few other nice options as well. The included 20 ounce mixing glass has basic recipes written on the side, broken into volumetric sections for each ingredient. This makes measuring a piece of cake, and avoids the need for precise liquor bottle pourers. But what if you have the craving to do more than mix and strain. Have no fear, you can get your muddling and juicing on with a ton of mid-range bartending kits on the market. The next logical additions include a citrus press, a muddling stick, additional bar spoons, and maybe a measuring jigger. Top Shelf Bar Supply’s Professional Craft Bar Set is a great step up for those looking to get their hands dirty. On top of the standard shaker and strainer, the set comes with muddler, a fine strainer, and even stainless steel toothpicks for your olives and garnishes. The finish of the product is top quality, and for $80-90 it’s good value as well. Finally, if you’re someone entertaining large crowds, or even bartending professionally, you’ll want every tool in your arsenal. 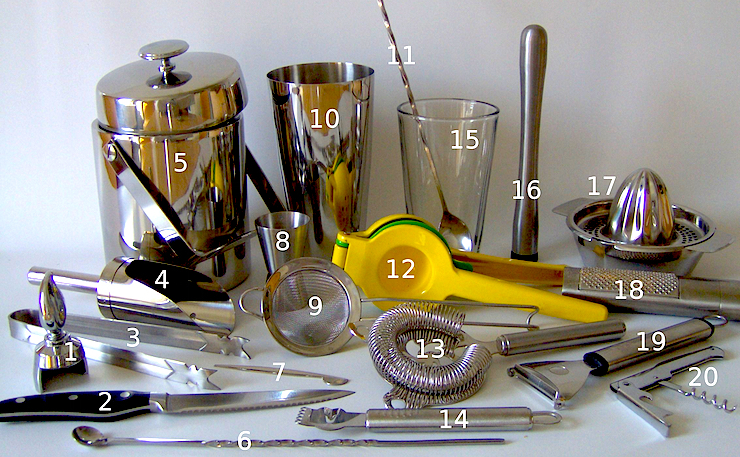 Just like great recipes, many seasoned mixologists pick up different utensils over time for their collection. 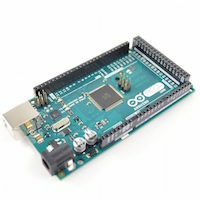 However, there are some great kits to get you started off on the right foot. The Uber Bar Tools’ Boston Bar Roll Deluxe comes with all the utility you’ll need for only $140-180. With this set you can muddle, cut, squeeze, strain, and measure with the best of them. And as a portable kit, you can take it on the go with ease. Whichever stage you find yourself at, we encourage you to experiment with your drinks, and cultivate your craft. 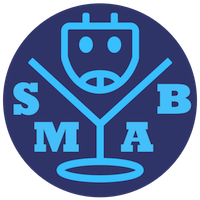 SirMixABot is designed to aid you in the quest for the ultimate cocktail. 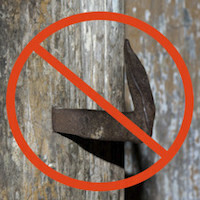 We’re always open to feedback and suggestions, and we’re trying to make a product for the ultimate drinker tinkerer.